Pulver won by a majority decision on scores of 48-45, 48-47, and 47-47. “This was the toughest fight I’ve ever been in,” Pulver said. Unfortunately, Pulver later vacated the title due to a contract dispute. 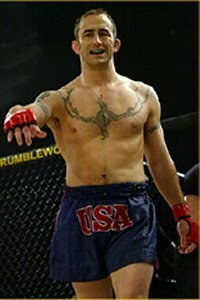 Ricco Rodriguez stayed hot in the heavyweight division, beating Jeff Monson by TKO in Round 3. Chuck Liddell turned in a strong performance as he beat Amar Suloev of Russia by unanimous decision in a light heavyweight fight. Andrei Semenov won the pay-per-view opener over Ricardo Almeida via TKO in Round 2. Poor Kevin Randleman went from UFC heavyweight champion to a preliminary fight with Renato “Babalu” Sobral. Debuting in the light heavyweight division, Randleman won by unanimous decision. In the other prelims, Gil Castillo beat Chris Brennan by unanimous decision; and Eugene "The Wolf" Jackson beat Keith Rockel with a guillotine choke in Round 2.